It's only a matter of time until the artists from Top Dawg Entertainment run the hip-hop world, constantly dropping tracks and videos of the highest quality and caliber. Off his sophomore album, ScHoolboy Q released the visuals for his single "THere He Go". 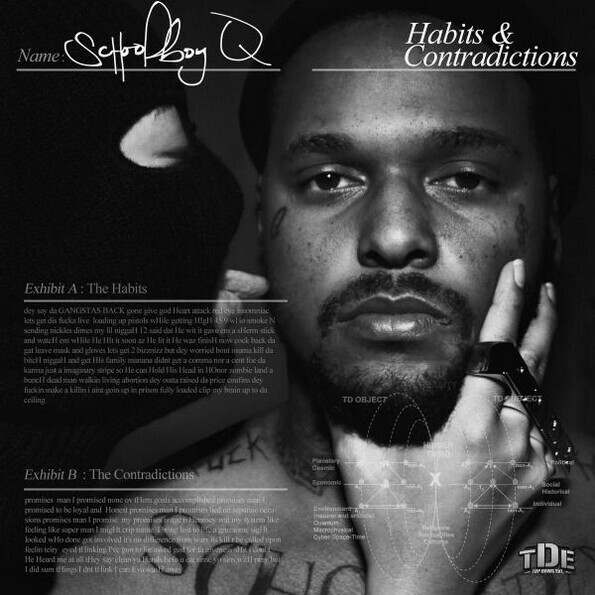 This song highlights the versatility of Q as he takes on a style a lot like Nicki Minaj as he mixes it up with unorthodox emphasis and hard lyrics to create quite the banger. The cinematography for this video is also great, turning what could be a plain video, into an amusing piece of art. This video has been long-awaited as "THere He Go" was one the hottest tracks from Habits & Contradictions; so check out the video and enjoy.